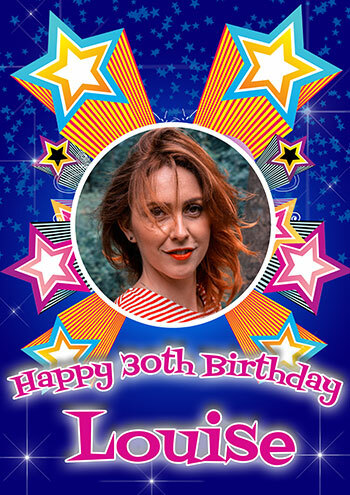 Personalised Birthday poster with one large photograph and an exploding stars background. Excellent service very quick too. Banner excellent quality, would definitely recommend this company.